Frank O'Brien urged me to write a brief autobiographical sketch in the interest of answering that burning question. I was born in Goldsboro, North Carolina, in 1944 and grew up in the New York suburb of Wantagh, Long Island. I received a B.S. in Astronomy from Caltech in 1966, a Ph.D. in Astronomy from the University of Wisconsin in 1969, and, for the next thirty years, worked at the Los Alamos National Laboratory on a variety of defense-related programs. My main area of expertise was in finite-difference simulations of things like atmospheric fireballs, supernova-remnant evolution, and seismic wave propagation. I worked on the dispersal of ejecta from the Cretaceous-Tertiary impact and served on a National Research Council committee which investigated the question of so-called Nuclear Winter. In 1983, anthropologist Ben Finney and I organized a meeting called Interstellar Migration and the Human Experience and edited a proceedings of the same title which was published by the University of California. In 1984, I participated in a series of meetings on the feasibility of an early return to the Moon and the development of a lunar science base. Combining my interests in history, anthropology, and space, I began a study of terrestrial analogs to lunar settlement and, in 1986-87, took a year-long sabbatical to read economic history at the University of Melbourne and then the University of Alaska-Anchorage. By the end of the year I concluded that first half century of European settlement in Australia (1788 - 1835) is a pertinent analog because of the high cost of transport from Europe and the reliance of the private sector on import capacity provided by the prison colony. In the lunar case, a science base would play much the same economic role. In 1988, I visited Houston to learn something about what was involved in getting work done on the Moon. I began reading the Air-to-Ground transcripts and quickly realized that nothing had been done with this amazing resource. 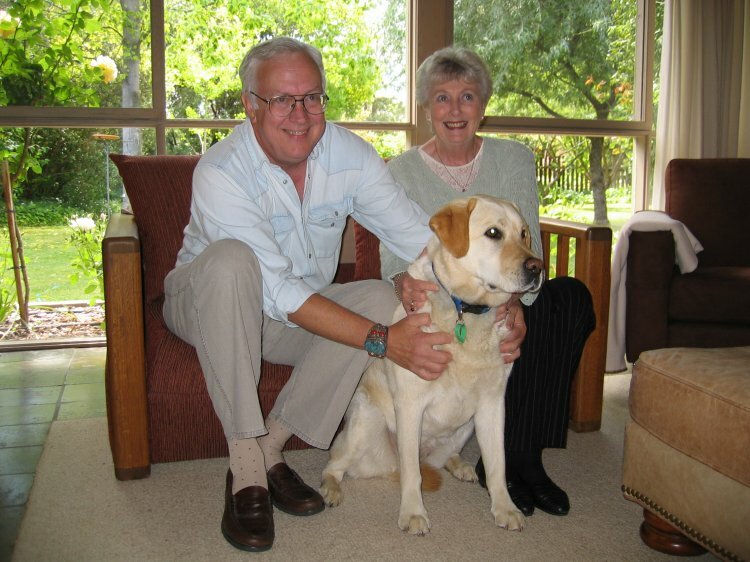 During my earlier readings I had become a great fan of a New Zealand historian named J. C. Beaglehole, who had spent most of his long career studying the European exploration of the Pacific and, in particular, producing the definitive editions of Captain Cook's Journals. It was not hard to imagine the Air-to-Ground transcripts forming the basis of an Apollo Journal. At this time, Jack Schmitt was an occasional visitor to the Laboratory and, on one of his visits, I got an hour of his time to talk about the difficulty of working in the gloves and other issues. We also talked about my Journal idea and, in April 1989, we spent three days together going through part of Apollo 17 EVA-2. We had a lot of fun and decided that the Journal was worth doing. Jack wrote a letter of introduction to the other astronauts....and the rest is history. The two most relevant pieces of info about me are that I am married to Di and have been a friend of Bill W.'s for a number of years. Photo by Ken and Angele Glover, 2004. 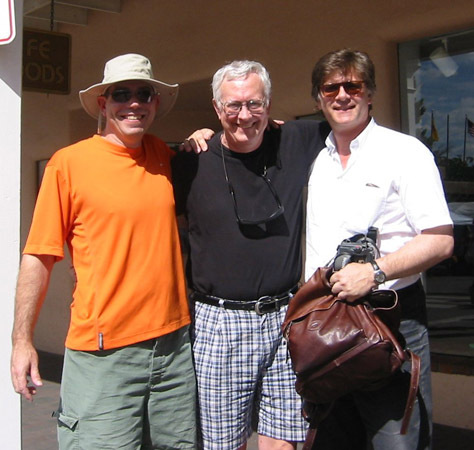 Ken, Eric, and Ulli on the Plaza in Santa Fe, New Mexico. Photo by Angele Glover, 2004. "Honais" is more or less an English transliteration of what you get if you try to pronounce "Jones" as a Spanish name. A friend at Caltech used to call me that, and I've used it ever since. Comments of any kind are appreciated. Ken, Ulli, and I want WOTM to be as accurate and accessible as possible.